Clubs and Schools can advertise any coaching roles they have on this page. 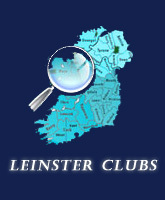 If your club would like to post a notice email admin@leinsterhockey.ie giving as much detail as possible. Adverts will remain public for one month (can be extended upon request) and should be in Word format. Glenanne HC are looking for a coach for St Marks Community School, Tallaght for 2 x 1.5 hour training sessions per week and midweek matches as necessary. Flexibility on the choice of training days. Remuneration based on experience. Please appy to secglenannehockeyclub@gmail.com. St Joseph of Cluny Secondary School, Killiney, Co Dublin is looking for a Level 1 Hockey Coach. Responsibilites include coaching on two afternoons during the week, plus umpiring matches on Saturday mornings.